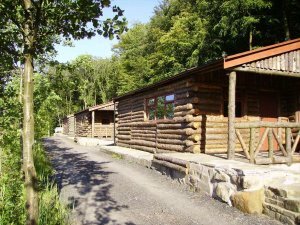 At Boothman Park we offer the option of accommodation in our log cabins, and will soon have a camp site available too. Both our log cabins and our camping facilities are ideal for fishermen or walkers who are exploring the many walking trails in and around Pendle and the surrounding areas, and for bikers who may like to visit our bike trail, or may be participating in the Colne Grand Prix. Pendle is an ideal place for a biking holiday, with historic locations, breath-taking country side and areas of natural beauty, and a peaceful, laid back environment that allows you to enjoy your break. You can learn more about our log cabins and camping at Boothman park by following the links.